I didn't follow the pattern but as you can see from mine they are very similar. Sorry about the direction of the photo, still haven't managed to get it to post correctly. I didn't know how to add the icon so I thought I would at least post the link. 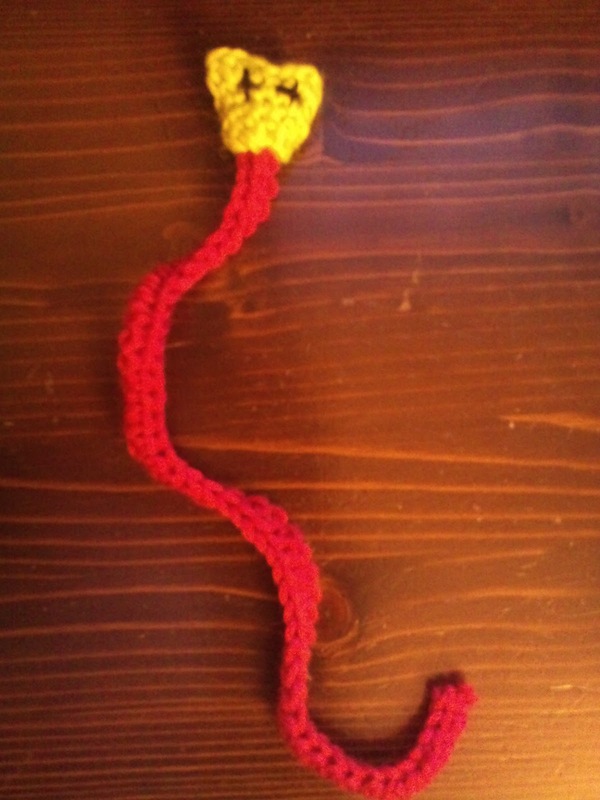 I found this wonderful pattern for a book mark but as I was making it I decided to change it slightly and made it a snake instead. I have made a few decisions about my blog. 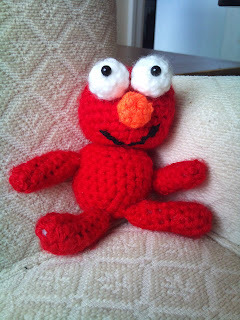 I have been adding things as and when I get chance but I'm going to try and alter the way I blog. I'm going to try and update the blog either on a Wednesday or Friday. I'll post pictures of anything I'm in the middle of or anything I've finished. 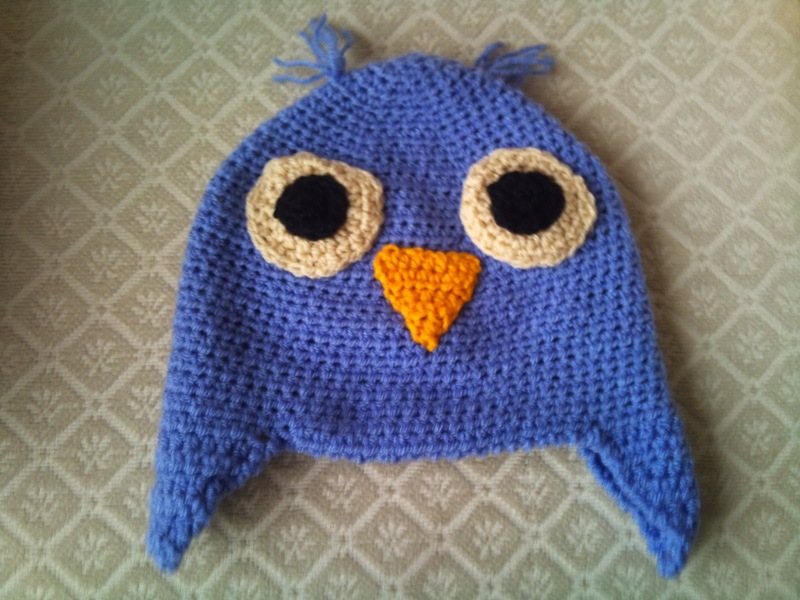 At least once a month I am going to try out someone elses pattern and show you pictures of what I have made including the link to the pattern. At the moment I've not got anything else finished. Trying to rest as much as possible as my son has a bad chest infection and now I have caught it. It's been early to bed all week but as soon as Ryan was able to sleep through I spent the night up coughing. Going to try and get a Dr's appointment as I don't want to get worse and be left without medication. My hubby's brithday party is a week tomorrow. I've got to get the house ready but as per usual when I've got stuff that has to be done I get ill. I'm sure I'll get it all done and I'll make sure that I rest as much as possible inbetween. 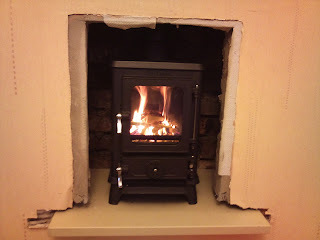 I am tryng to be good and I haven't lit the wood burning stove yet. I'll save it for later in the afternoon or early this evening. It is only a small stove but it doesn't half put some heat out. I'm getting quite used to cleaning it out now and it only takes a maximum of 5 mins. I would recommend them to anyone and everyone. I love it when it's cold outside and we are curled up all nice and warm. A gas fire just doesn't give the same beauty or feeling. I love watching the flames and how the react. We haven't sorted out what we are doing with the surround but there is no rush. 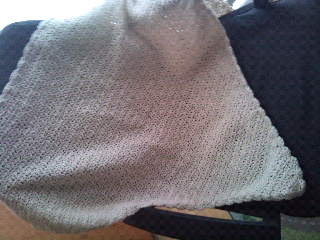 It doesn't look nice at the moment but just having it is enough for me. 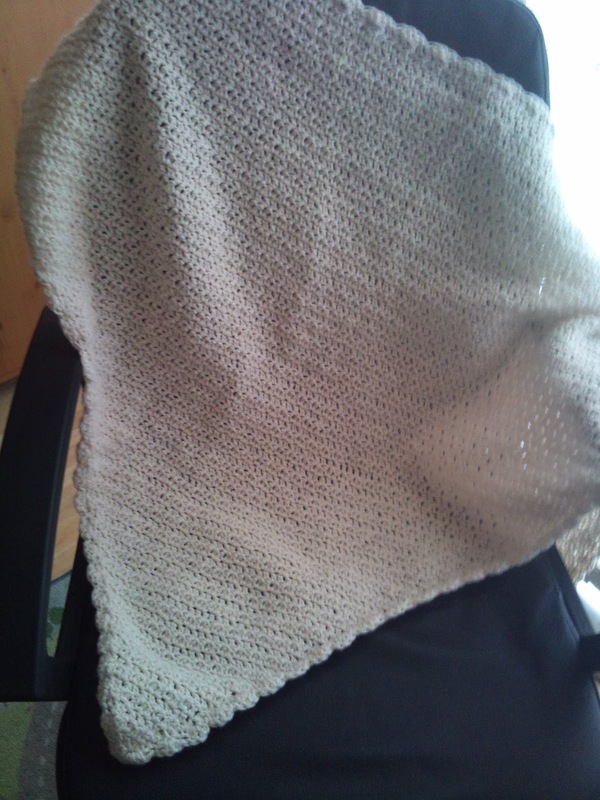 I finished my shawl blanket. There are mistakes in it but i love it. I should about 80 but i love sitting in my rocking chair with it on my lap, fire going n crocheting. 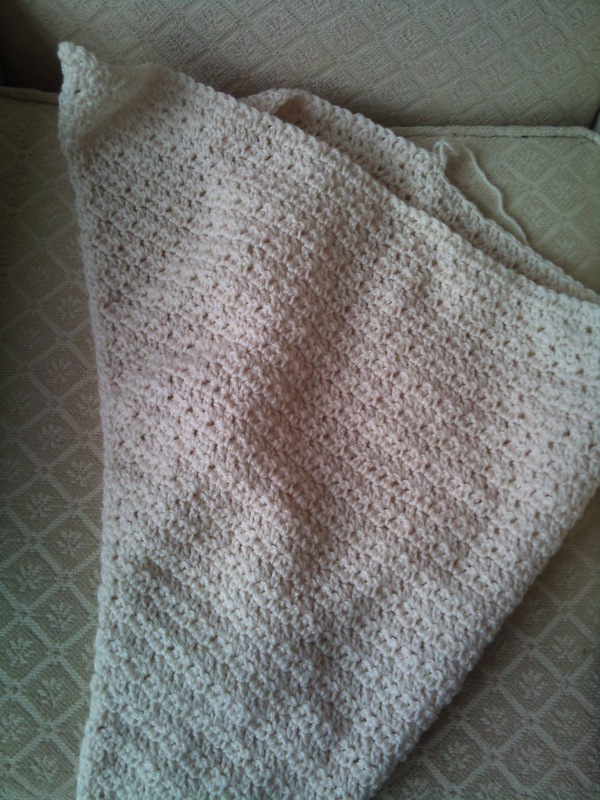 I feel so relaxed n nothing gets in to stress me out once i crochet. Things are a bit stressful at the moment as things maybe changing drastically but there is no point worrying about it as it's out of my hands. My son Ryan is ill with a chest infection. I've been letting him choose the dvds to watch. So far it's been empire strikes back, hero squad n now on transformers the original cartoon film. As u can tell i'm really enjoying the t.v. today. Really good pattern to follow n i love the one i made. Hope ur having a good wednesday! 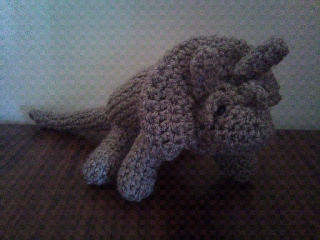 I made a triceratops for my son. 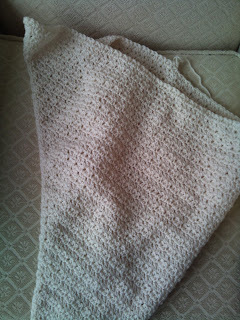 I got the pattern from http://members.optusnet.com.au/we2/tric.html really easy pattern to follow! I haven't posted this week as it's been a stressful and it's taken it's toll on my health. 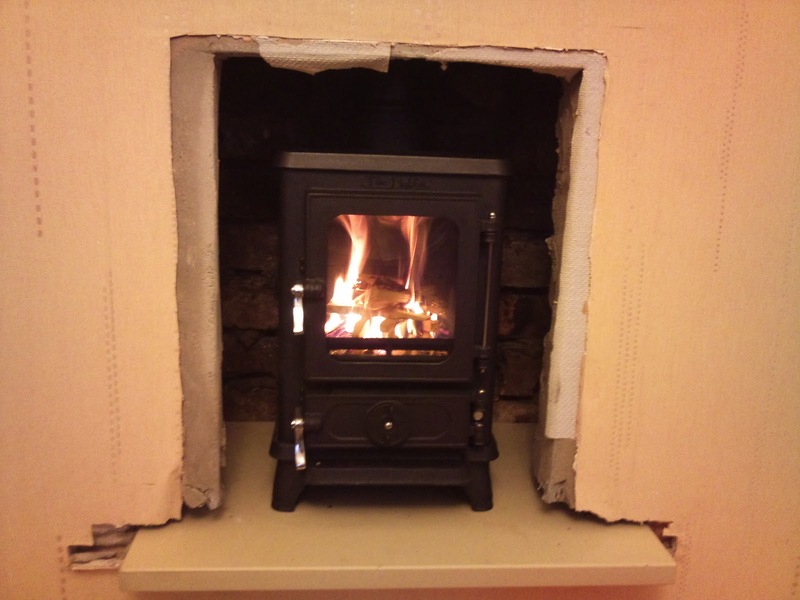 We had a multi fuel burner stove installed. It's for hubbys 40th birthday present. Best thing we've ever done. I'm curled up on the couch with the fire burning watching countryfile. Yes i'm under 40 n sound about 80. Since learning to crochet i'm starting to enjoy the simpler things in life. This afternoon I sat with my 5 year old son listening to him count to 100. That moment was worth more than money n things. Don't get me wrong i still enjoy spending hours on my pc looking for patterns. 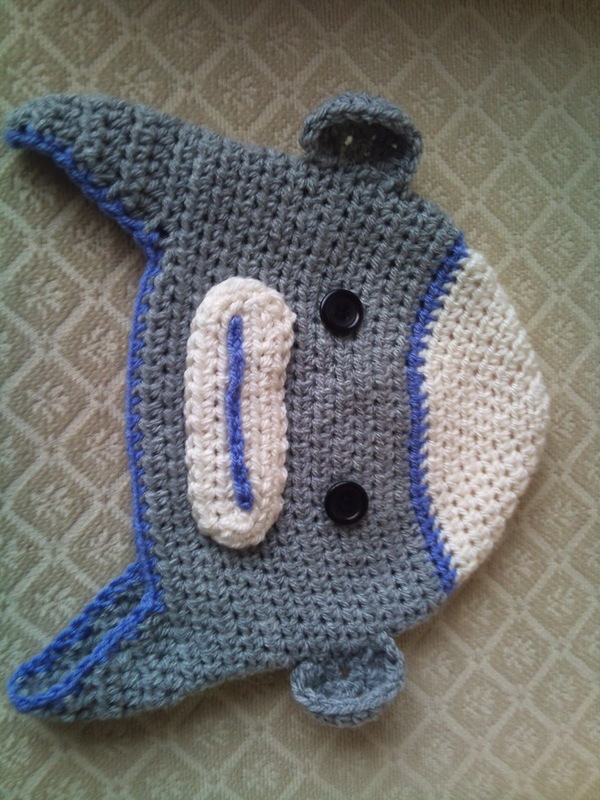 I also love making things for my son. I think I'm going to make him a sock monkey super hero for christmas. I hope ur having a good sunday! Well as I said I would here is an update of what I have been making lately. 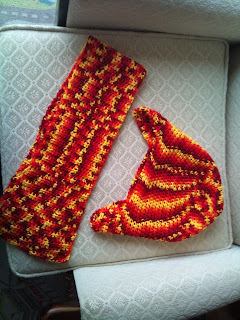 Using the following pattern as a guideline I made a lovely hat and scarf set. I used my basic hat and added the shell stitch from the pattern and altered the flower slightly. I am currently making a hat and possibly a scarf for the harvest festival but as it isn't finished you'll have to wait for the pictures. Well this week has been a write off. My IBS kicked off n decided to inflame my stomach. Couldn't eat for 36hrs, no real sleep for 56hrs. I can now only eat things like white bread n fish n chicken. Feeling a lot better n it's nice to be able to eat something. 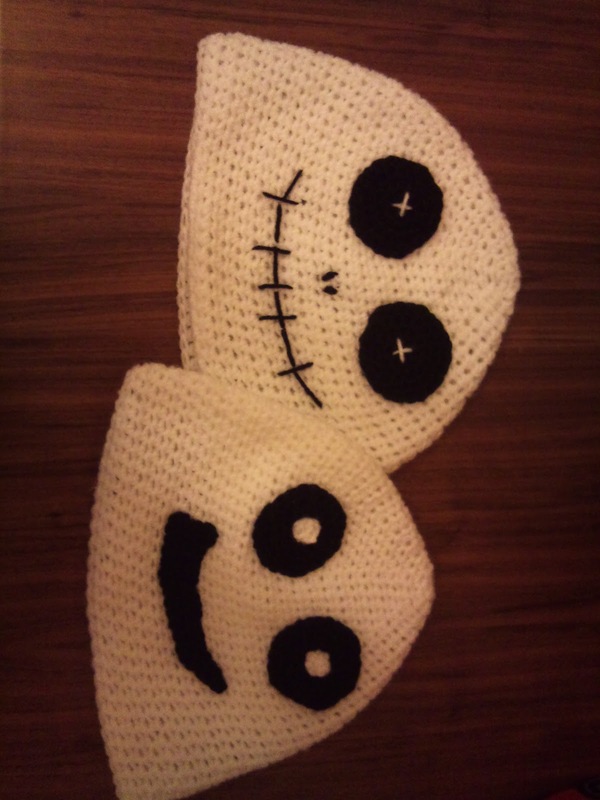 On a brighter note whilst I've been ill I've made a few things. I haven't got pictures at the moment but I'll post them when I have. Making a hat for the harvest festival. The gifts are to be given to the old peoples home. Thought they might like something hand made. Anyway off for a soak in the bath. Sorry I haven't been posting as much lately but it has been so busy! 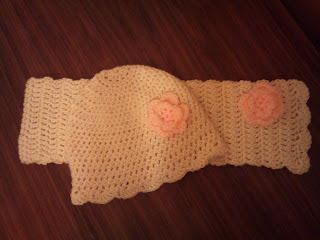 I have also made a small cowl/scarfelette, I haven't taken any pictures yet but I'll post them soon. Today I am going to concentrate on some orders I have and then I'm going to make a small present for a friend who is getting married soon. After all that it is finished I'm going to start making some new designs. Above is a picture of some of the things I've made. I love making new designs for new animals etc. I am just waiting on some information regarding my sons school fete. I am going to have a table at the fete and going to see if I can sell some more of my hats. I still haven't covered all the wool etc that I have bought but as I keep buying new wool I doubt I ever will. I'll start taking some pictures as I finish making my hats etc this week and I'll post them for you to see.